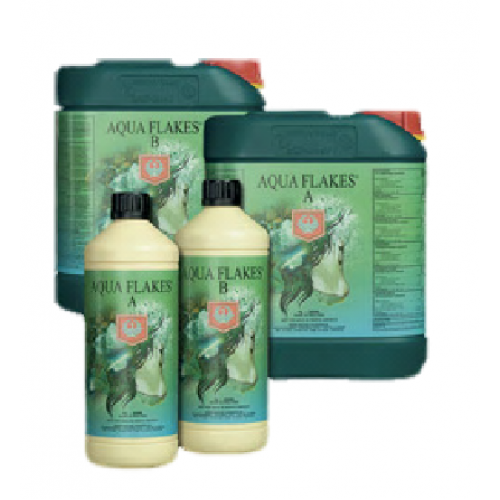 House and Garden Aqua Flakes A&B is suitable for both grow and bloom! As the latest and greatest main feed product from House and Garden Aqua Flakes A&B is gaining popularity as one of the most resourceful products amongst the farm and garden industry for optimal growth and nutrients of both fruits and vegetables. Aqua Flakes is comprised of natural ingredients like clay, expanded rockwool, and coco and is safe for recirculating hydroponics systems such as flood or drainage systems. They are made with a unique composition of natural ingredients, including Phosphorus, to provide growing plants with the essential nutrients needed for ideal growth and cultivation. 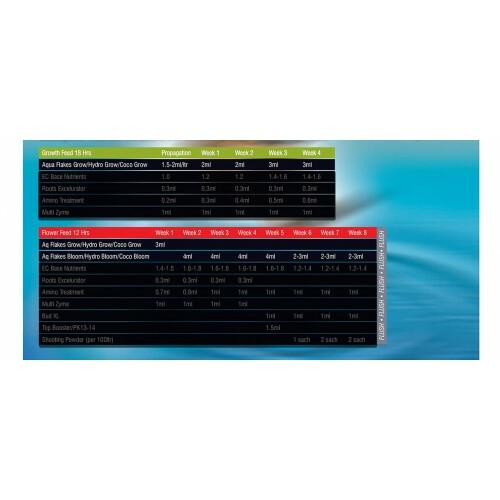 Aqua Flakes A&B contains no chemical additives or bulking agents. This 2-part feeding system is sold as a set and has been proven to produce abundant crops known for their high quality texture and taste as well as pleasing aroma. Aqua Flakes A&B are a first rate feeding system that will provide you with a bountiful and healthy yield this harvest season.